Pretty much everything I read on the internet--be it in the news or on social media--about the Catholic Church doesn't leave me feeling particularly joyful, uplifted, or holier. If you want to create social-media followers for yourself, an easy way to do it is to be bitter, cynical, and uncharitable. Problem is, that type of stuff doesn't create followers of Jesus. It creates ideologues. And, I admit that at times it is difficult to refrain from jumping into the fray. This blogpost is just a reminder that following Jesus is actually joyful, and that the Catholic Church is not primarily about the people who get the most press, the most "likes," or the most "comments." When we see the Catholic Church, we ought to see the Face of Christ. I'm blessed to spend my time surrounded by the Face of Christ. 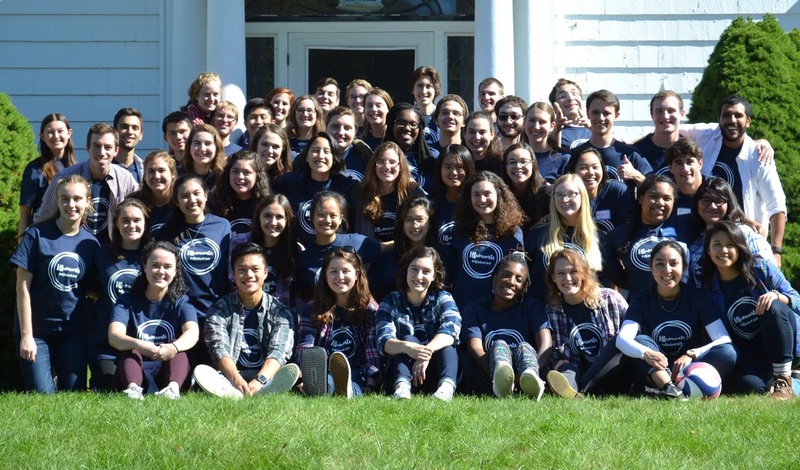 Below is a video one of our students put together of the BU Catholic Center Fall Retreat. 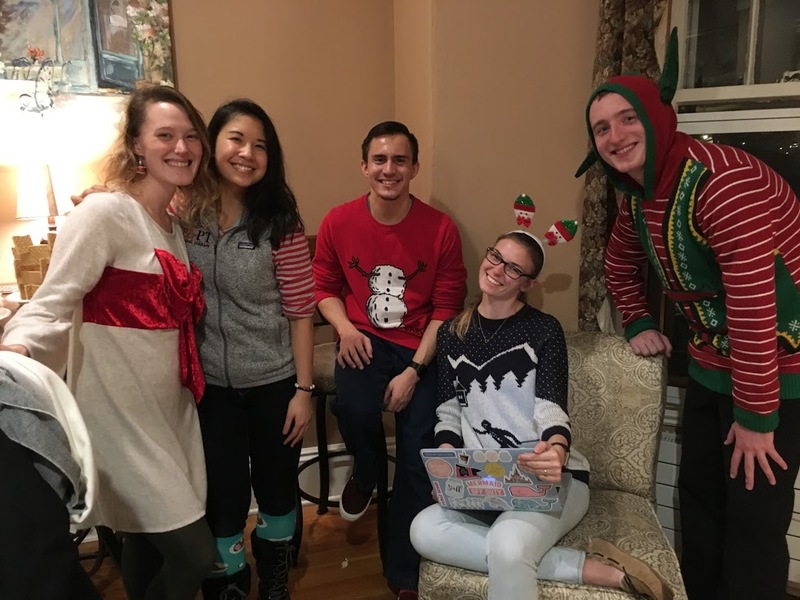 It is just a bunch of university students praying, hanging out, and goofing off (a lot of goofing off). Some of my readers support the BU Catholic Center, so I thought they might also enjoy seeing how their generosity is allowing the beautiful Face of Christ to be seen. There's a lot of good things going on in the Church. We just don't see much evidence of it online. So, I hope you enjoy watching some or all of this video. The Lord is doing great things in and through His Body, the Church. Click on the link below. (And by the way, if some people look kind of goofy in some of the photos that is for one of two reasons. Either they were trying to look goofy . . . or they can't help the fact that they are goofy). "I confess." Although we are accustomed to saying those words at the beginning of every Mass, they are actually rather startling. I think of all the great detective stories when, clearly outsmarted by the sleuth detective, the suspect is cornered into confessing. "I did it! Yes, yes, it was me!" Catholicism, on the other hand, teaches one to confess quite easily and willingly. It is an integral part of Catholic life. Last Saturday evening, I was on retreat with a large group of college students. 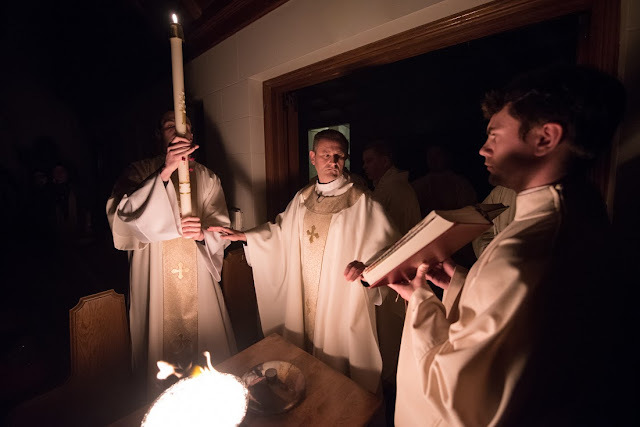 For a couple of hours, four other priests and I heard confessions. There is something so refreshing about hearing people confessing their own sins and faults. There is a great purity about it. A Catholic enters the confessional not to accuse others, but to accuse himself or herself. 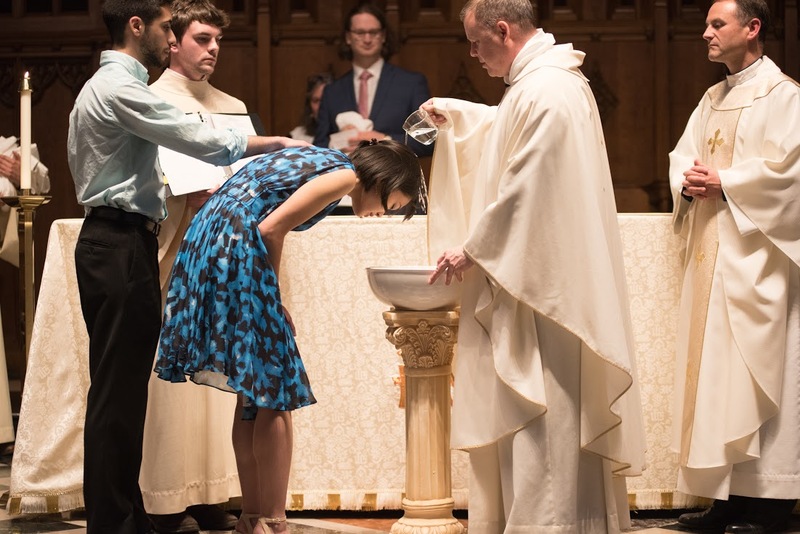 At the beginning of Mass, a Catholic doesn't say, "We confess." He says, "I confess." Are you sure? Maybe it is someone else's fault. Are you certain that you are to blame? "Through my most grievous fault!" Social media (and the media in general) has become an outlet for accusing others about everything. If somebody gets shot with a gun, then the people to blame are the people who voted for the politician who supported gun rights. If the person was shot by an immigrant who is in the country illegally, then the people to blame are those who voted for a politician who supports the Dream Act. The list goes on and on. We spend a lot of time accusing others about everything! Even within the Church, social media has become the place of accusation. "He is a heretic!" "She is judgmental!" "They are pharisees!" "They aren't real Catholics!" Catholics--and others--bait one another on social media and then feign shock when the inevitable counter-attack follows. We live in the Age of Accusation, but not in the Age of Confession. I wonder if we were all more attentive to our own faults by regularly examining our consciences and confessing our sins, if we would be more hesitant to accuse others on social media and in the media in general? 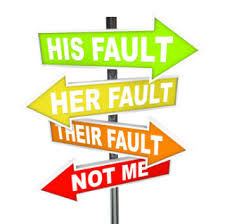 Perhaps the current obsession with blaming others is the result of our inability or unwillingness to examine ourselves and accuse ourselves before God? Is engaging in constant online accusations a sign of spiritual bankruptcy? Are the Twitter wars of accusations an angry substitute for humble prayer before God? Are people more concerned about entertaining their "followers" than they are about following the Lord? The Lord himself warned that we should remove the plank from our own eye before attempting to remove the splinter from our brother's eye. And yet, there are a lot more Catholics on Twitter than there are in the line for Confession. There are significantly more accusations being lobbed against others on social media than there are self-accusations happening in the confessionals of our churches. The climate in which we live today is all about pointing the finger and saying, "Through his fault, through her fault, through their most grievous fault." The Catholic way is to say, "Through my fault, through my fault, through my most grievous fault." This humble admission opens our hearts up to receive God's life changing grace. In humbly and honestly accusing ourselves, we create a space in the world for Christ's grace to heal, forgive, and renew. And the world needs that kind of space more than it needs our accusations. Accusing others likely only deepens divisions and hardens hearts. On the other hand, accusing ourselves humbly before God heals divisions and changes our own heart. And, our own hearts all need changing. 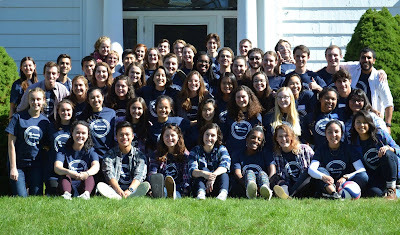 This past weekend, the BU Catholic Center undergrads headed off on our Fall Retreat. It. Was. Beautiful. The students themselves develop the theme of the retreat and organize all of its many aspects. This year, they chose the passage, "You are the light of the Word," as the theme. The title of the retreat was, "Illuminate." The speaker for the retreat was a relatively newly ordained priest named Fr. Sinisa. 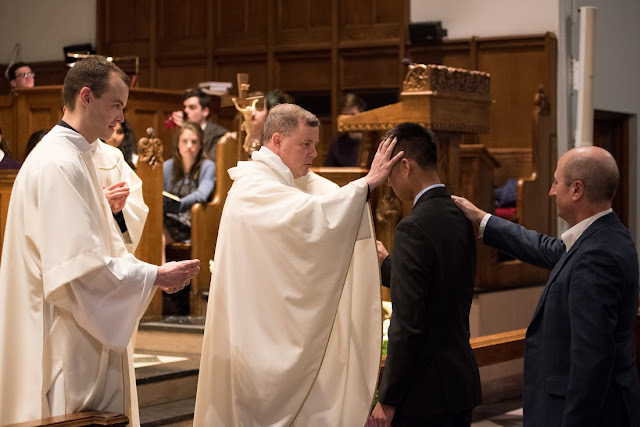 One of the great joys in my life as a priest is connecting people. I love introducing great people to one another. This retreat was another such example. Fr. Sinisa was an immediate hit with our community. One person asked me, "How come we haven't had him before?" He preached beautifully and witnessed to the joy of the Christian life. The Holy Spirit was at work on our retreat. As is the case on every retreat I've been on over the past nine semesters at BU, I love the witness talks. It is such a moving and incredible joy to hear young people testify to how the Lord is working in their lives. After our first witness talk this weekend, I thought, "Well, we can call the bus now and all go home. God has already accomplished more here than anything else we might come up with." But, the Holy Spirit continued to work among us. Not all of the kids on our retreat were Catholic. Some came because they were attracted to the Catholic Faith. Some came because they experienced true and joyful friendship among our community. The students chose St. John Paul II as the retreat patron saint. 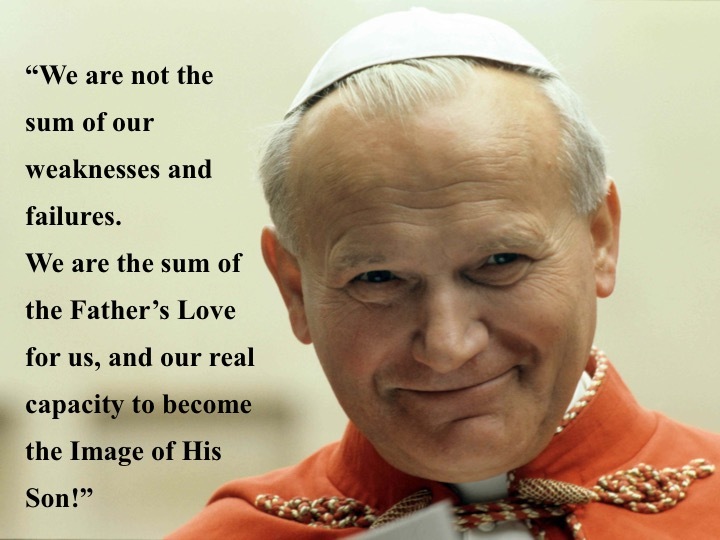 As I prepared to speak about JP2 to the community, something really struck me. As I prayed, I realized that he is the man who has had the greatest impact upon my life. I know it seems strange, but when I pray the Scriptures, I read them in the voice of John Paul II. He became the voice of Christ to me. 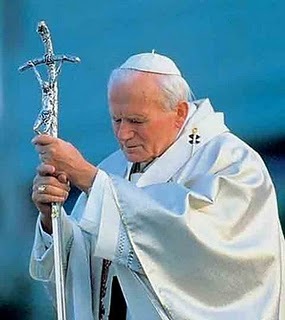 When I pray, I hear John Paul II saying, "Do not be afraid. Come follow me. Unless you eat my flesh and drink my blood, you have no life in you. I have come so that you might have life and have it more abundantly." This is what it means to let our light shine. It is to allow Christ to live in us, to shine through us, to speak through us. 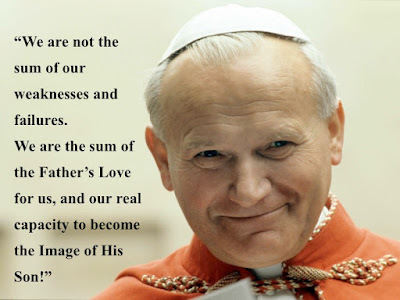 What I loved about John Paul II is that he did not sugarcoat the Gospel for me. He told me that the Gospel was demanding. This is precisely what young people today love about him. The love that he extends to them--in the name of Christ--the call, not to mediocrity, but to greatness. I told the students that I was convinced that the reason they were even on the retreat was because of St. John Paul II. His life and ministry inspired so many young people. He awakened in young people a burning desire to become disciples of Jesus Christ. If today you find young people adoring Jesus in the Eucharist and going to confession, or if you find young people on fire for sharing the Gospel, chances are, you can draw a line from them to St. John Paul II. Wherever there is life today in the Church in America, it is because of John Paul's influence. 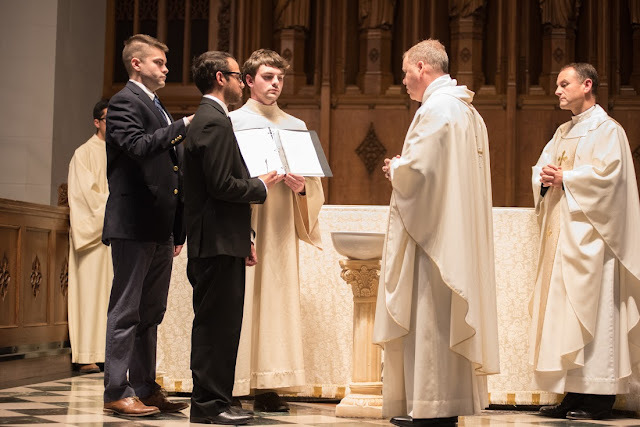 Four other priests showed up on Saturday night and heard confessions while our students spent time adoring the Eucharist. 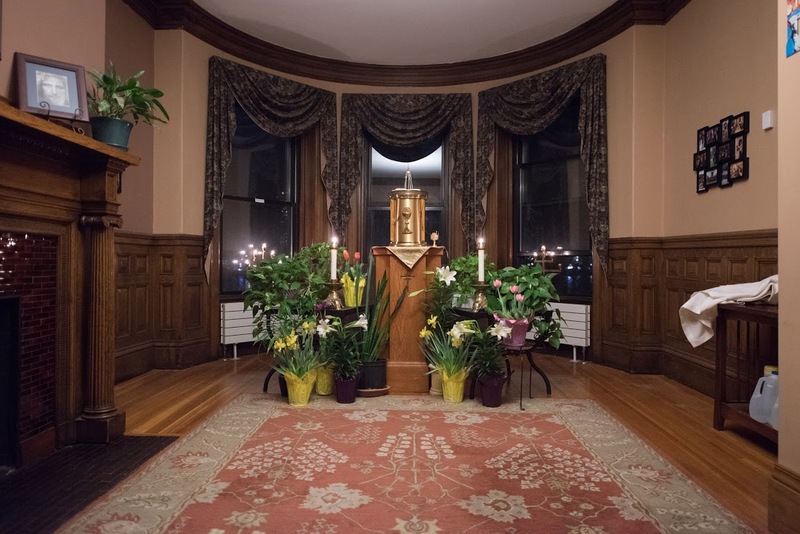 The students took turns through the course of the night--an hour each--worshipping the Blessed Sacrament. 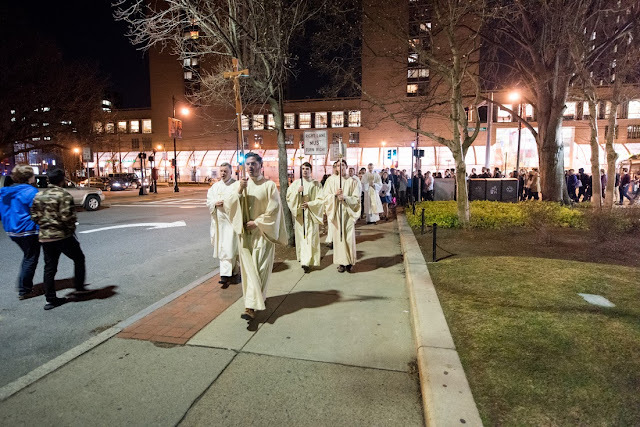 After I came back from retreat, I still had to offer the 6pm Mass at BU. I was exhausted, but it is so edifying to show up for Mass and worship with so many great young people who are striving to grow in the Catholic life. 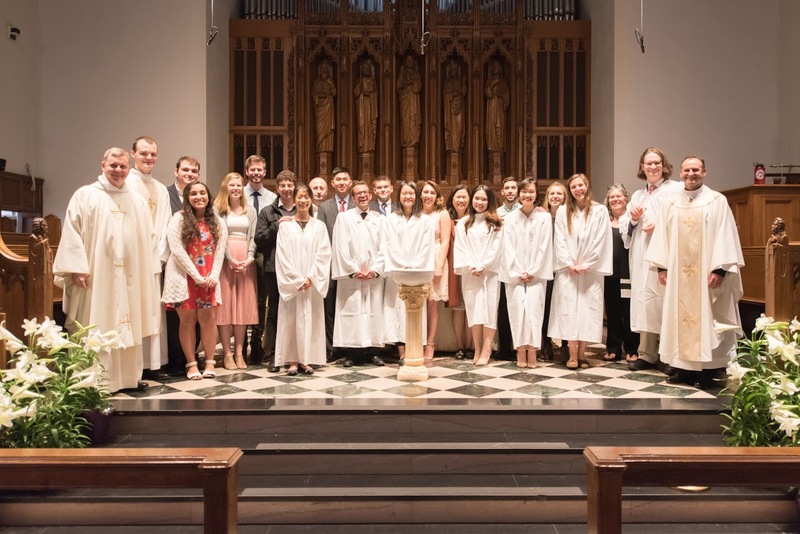 Every time I celebrate Mass at BU, I am grateful for the parishes that formed these young men and women. 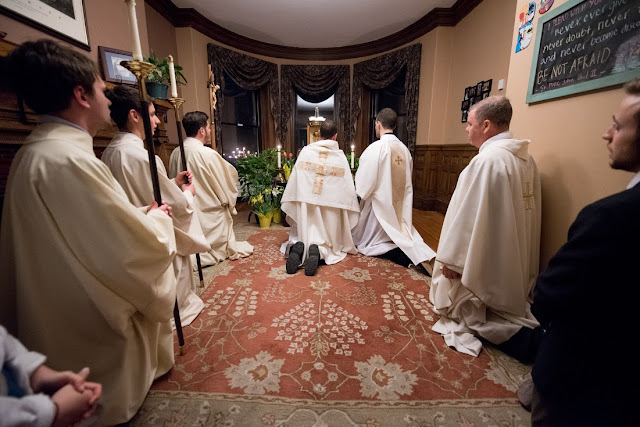 And even though I was dying to get home, after Mass, I heard the words that kind of give priesthood its meaning: "Father, do you have a minute?" When I came home to my rectory, I ran into one of the priests with whom I live. 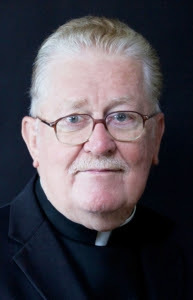 He's been a priest thirty-five years longer than I have been. We ate dinner together and had some wine. 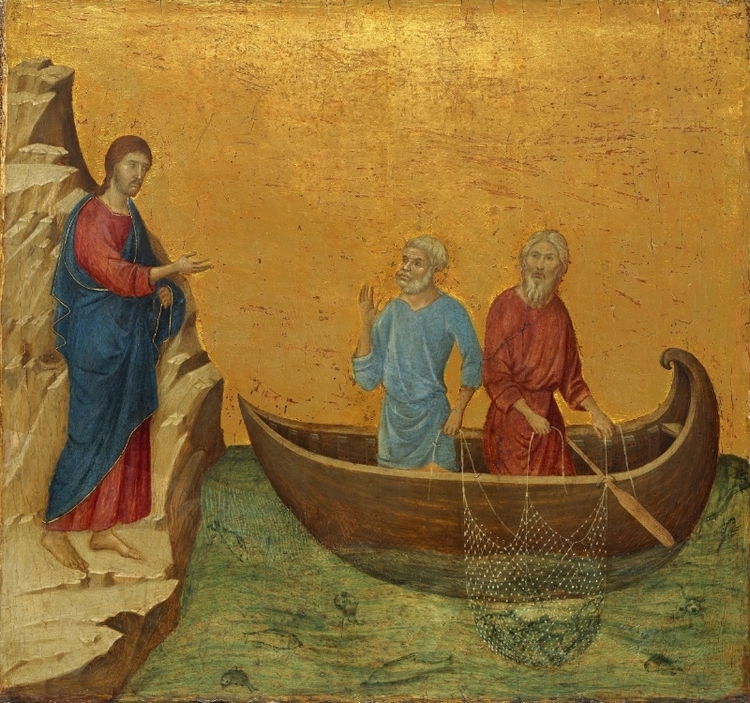 Then the pastor of the parish returned home. He also had been on a retreat. He joined us and we talked about life and had a lot of laughs. And now, I still need to say my prayers and pray the Rosary, so I should get to sleep. The good news for me though is that I am taking the morning off! But, I am filled with such joy and gratitude. 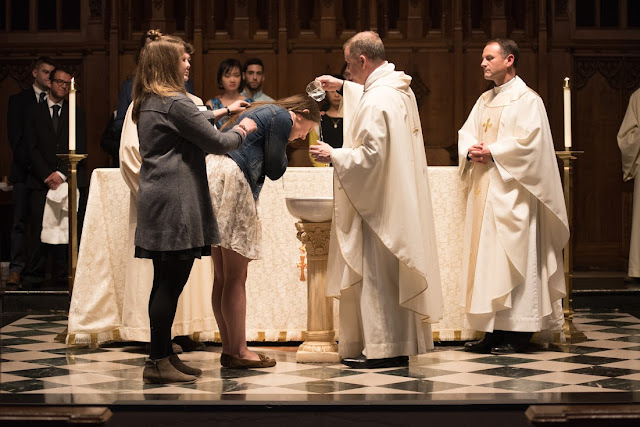 This weekend, I witnessed so many beautiful examples of the Catholic life. People sharing their faith, alumni offering their assistance to make the retreat a success, a young priest inspiring young college students, students who are not Catholic investigating the Faith, students loving one another with a deep and profound love, and a profoundly sincere and joyful group of young people who hear the call of the Lord. 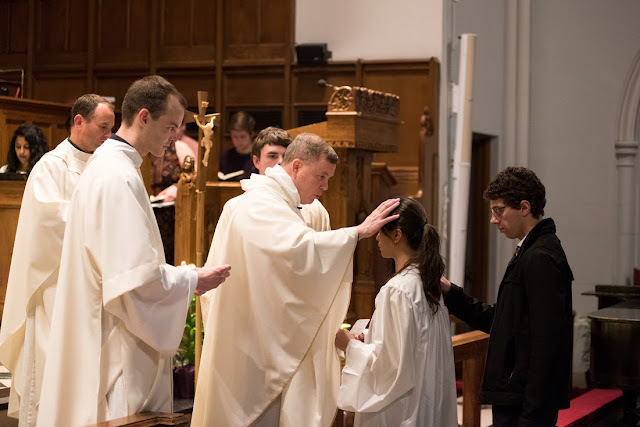 One of the great joys I experience as a priest is the opportunities I have to witness amazing things. I feel really privileged because my priesthood has been lived in a continuous state of awe at all the good things the Lord is doing. Boasting about those things can sometimes feel like I'm saying, "I did these things." But quite honestly, that would be a real disappointment to me. What amazes me, and what fills me with such enormous joy, is that the Lord blesses me with these things. These are totally His gifts. I inherited so much of this from the campus ministers and priests who preceded me here. I am not smart enough to create these things, and I am definitely not holy enough to create these things. I'd say that my contribution to the whole thing is that I have the gift to recognize how amazing it is and how unworthy I am to be part of it. It would be a real letdown if the Newman Center at Boston University were simply something we accomplished. Instead, what is so awesome is that we the result of what Jesus Christ is doing in our midst. When I got home tonight, I received an email from a former parishioner of mine. She shared with me her own witness of the good things that the Lord is doing. She also told me how happy she was that I am blogging more often about the things that are happening in my life. Her words reminded me that we are all in this thing together. Sharing the Gospel--sharing what Christ is doing in our midst--is so awesome. I'm the Newman Center Chaplain at BU. I want to tell you something. What John Paul II started . . . it's still happening, and I have the sense that it's only just begun. In a few weeks, I have to go for my annual physical. Last year, it was such a great appointment because I had followed the doctor's orders and had done amazingly well both in regards to fitness and diet. Alas, the past few months have not been so disciplined, so I know that an uncomfortable lecture awaits me. And, worse than that, simply acknowledging his rightness about these matters will not be sufficient. No, he won't let me off that easily. For every excuse that I come up with, he will propose a solution. And then he will ask specific questions on how I plan to rectify the situation. I'm not looking forward to it at all. Wouldn't it be better if the doctor would just affirm me as I am? Wouldn't it be better if instead of pressuring me to live in a particular way, he just let me do what I wanted? I mean really, who is he to judge me? Who is he to tell me what I should and shouldn't do? If he really cared about me, he'd not insist upon imposing rules on me. If he continues down this path, he risks pushing me away, doesn't he? Why should I even bother going if all the doctor is going to do is tell me that I need to change certain things? I go back because I know that there is a truth that lies outside of myself. I go back because I know that the doctor actually cares about me. I go back because I know that deep down, the doctor prefers to encourage me in my positive behaviors than he does in challenging me about my lack of exercise. But, he cares enough about me to challenge me. When I call him, he always returns my calls. When I need something, he always responds. When he corrects me about something, I see it in terms of my total health. I don't see it as a personal attack. Our Holy Father, Pope Francis is fond of referring to the Church as a field hospital. I've always liked the imagery of the priest as a physician of souls, and so the image of the Church as a hospital is appealing to me. These days, however, it feels as though our field hospital is located in the middle of a mine field and is under heavy shelling! I remember once hearing a friend of mine who is a doctor saying that it is important when treating a patient to remember that you are treating a person and not just an illness. In other words, you don't reduce the person to a particular affliction. That disgusting wound is not what you are treating. You are treating a person who happens to have that disgusting wound. For me, it's a great reminder about the spiritual life. Recently, I've watched--and participated--in some debates surrounding moral issues and the Catholic Church. It seems like oftentimes these debates are fixated on the wounds rather than on the patients. And, to be clear, we are all patients in one way or another. There seems to be, at least, three unsatisfactory approaches taking place: Focusing solely on the wound, conflating the wound and the wounded, and ignoring the wound. Some people want to focus entirely on fixing the wound. They speak about the wound to the exclusion of remembering that there is actually a patient attached to that wound. They are experts on the wound, but they seem to have no regard for the wounded. This is the doctor with no bed-side manner. The wound to him is like a challenge. If he can just fix this particular wound, he'd be done with you. Another issue is the conflation of the wound and the wounded. This is where we attach "being" to the wound. "I am this wound." If the physician calls attention to the wound, then he is attacking me personally and assaulting my dignity. "I have been this way for a long time. I've always done this." The wound and the person are seen as one and the same. They are allies. An attack on one is an attack on both. This approach ultimately denies that there is any wound at all and to suggest otherwise is portrayed an act of hatred. Lastly, there is the approach of ignoring the wound. This approach suggests that since the person is wounded but doesn't want to discuss it, it's better to just act as though the wound doesn't exist. Let's avoid that awkward conversation because . . . well, it's awkward. If the Church is, in fact, a hospital, its hospital staff needs to be experts in treating persons and wounds. It means learning how to get the person to keep coming back even though the physician might say, "You haven't been exercising and you need to do so." But, to do that, the Church also has to be willing to be rejected. There are things that are good for our spiritual health and there are things that are bad for our spiritual health. The fact is, sometimes people are going to smoke even though the Surgeon General insists that smoking causes health problems. Similarly, even though the Church is going to teach that we must worship God every Sunday at Mass, forgive those who have harmed us, and support the works of the Church, some people won't. Even though the Church is going to teach that marriage is permanent, that sexual activity is only moral between a man and a woman united in matrimony, that cheating in business dealings is immoral, and that welcoming the stranger and feeding the hungry are obligations, some people will ignore these things. It may make us squirm. It may make us uncomfortable. It may make us indignant. But, that doesn't mean the Church shouldn't teach them. If she is truly a hospital, then she needs to be comfortable in identifying spiritual health risks and epidemics. I suppose my physician takes a risk every time I show up and he gives me the lecture. He risks on my freedom. He risks that I am going to keep returning to his office because I trust that he sincerely cares for my well-being. He risks that when he speaks to me, I know that he sees more than just my cholesterol levels. He sees a person. Where does all of this leave the spiritual hospital staff (which is all of us)? Ignoring the wound, seriously endangers the patient. Focusing exclusively on the wound is an injustice to the person. That leaves us with loving the patient and addressing the wound as best we can under the present conditions. We shouldn't kill the patient in our attempt to heal the wound. And at the same time, we shouldn't kill the patient by ignoring the wound. 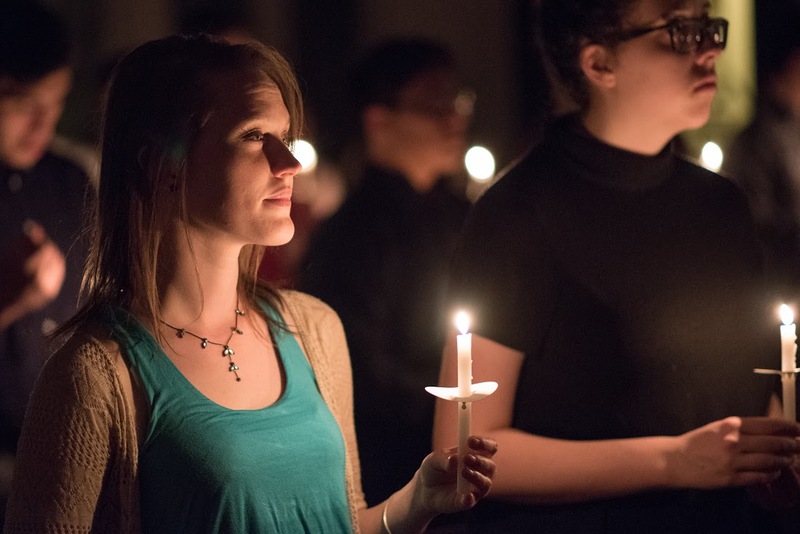 There is a lot of pressure these days placed on Catholics to be silent about the moral life. Some say, "Don't talk about sin because it turns people away." This approach takes far too lightly the deadly nature of sin. Then, some angrily respond by talking only about sin. They appear obsessed with shaming people about their sins. But then, there is the Catholic way. The Catholic way is with tranquil and joyful confidence to affirm that we are all wounded and in need of Jesus, the Divine Physician. And Jesus practices medicine at the Hospital of the Catholic Church. Everyone is fighting. Citizens, athletes, members of the Church. If you frequent social media, everybody is arguing about . . . everything . . . and accusing their opponents of the same things for which they themselves are guilty. 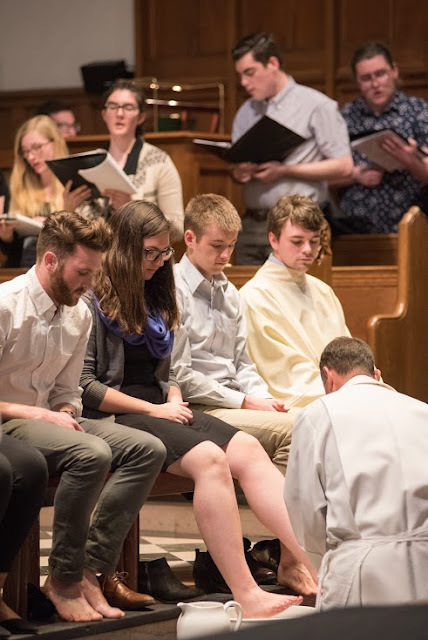 Whenever we have a visitor at daily Mass at the BU Catholic Center, I like to watch their surprised reaction when, after I impart the final blessing, all of the students kneel down and spend time in thanksgiving. Nobody has ever cajoled them into doing that. It's something that's just become natural to them. Some stay for a few minutes and some stay for twenty. It's beautiful to witness. The quiet, stillness, and devotion of those moments is like an oasis. Today before Mass, I sat on a stone bench outside of the University Chapel because someone asked me to hear his confession. (For Sunday Mass we use the interdenominational chapel, so there is no confessional). As soon as one person noticed that I was hearing a confession, a line of students formed. It's kind of beautiful to sit there as people pass by. 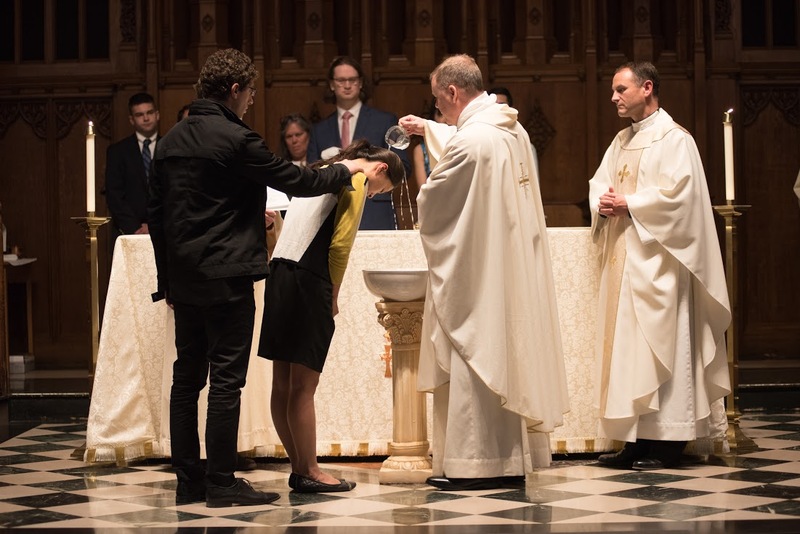 Whether they believe in the power of the sacraments or not, whether they believe in God or not, these passers by cannot but help be struck by the scene. After every Sunday Mass, I am always impressed by how the students wait in a long line to shake hands with me and to say hello. How did they become so polite, friendly, and mature? Beautiful. 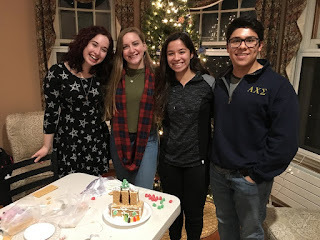 There is a small group of students who come to the Catholic Center every Sunday evening and make sandwiches for the homeless. Then they go out to the streets and deliver them. It's not a soup kitchen. They don't feed thousands. They feed a few. When you're a preacher, you know whether or not people are paying attention! I'm always amazed and grateful that the students are so attentive during Mass. Actually, in this present culture, I'm amazed that they are at Mass at all. I'm even impressed that a lot of them dress up each week for Mass. 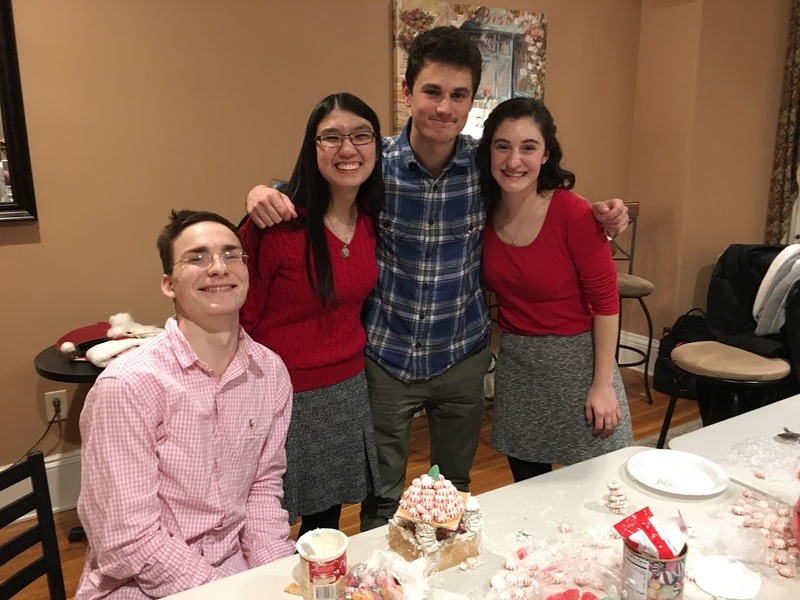 The students at the BU Catholic Center love each other. And, they reach out to others--not to make their numbers bigger, but to welcome others into the joy of the Catholic life. Today after Mass, a student asked me to bless a crucifix that he bought for his room for when he prays. Let that sink in. 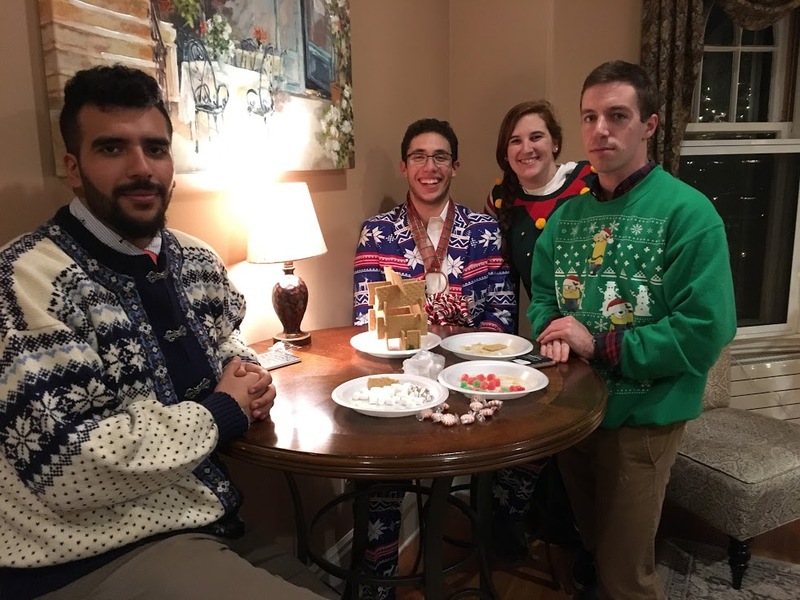 In today's day and age, there is a graduate student at a very secular university who went out to buy a crucifix and had a priest bless it because he wants to pray in his room. They are simple things, but there is a purity about them. They do not solve all of the fighting and anger that surrounds us, but they remind me of what is true, and good, and beautiful. These encounters and moments, in their simplicity and purity are REAL. What saves me are these moments. So, I thought by sharing them, that they might awaken within you a deeper gratitude and hope and a desire to live like this, and not be swept into the constant current of anger and noise. Amid all of the noise of the world, on a bench on a college campus, students bless themselves and say, "Bless me Father, for I have sinned." This quiet, humble, and pure prayer is far greater than everything that has been or ever will be posted on Facebook or Twitter. St. Paul wrote in his First Letter to the Corinthians, "But we preach Christ Jesus, and Him crucified; a stumbling block to Jews and foolishness to the Gentiles." One would think that if Paul were trying to win people over, he might change up the message a bit. How about re-brand the product in order to increase market share? Shouldn't his pastoral and missionary plan be more consumer friendly? And, let's not forget that there were lots of issues going on in the communities to whom Paul was writing and preaching. There were issues of sexual immorality, factions, lack of attention to the poor, and community members jockeying for position. If St. Paul was trying to build up the parish collection and increase numbers for the parish census, perhaps he should have found a more attractive message than saying everything depended upon one, crucified man. But St. Paul was not trying to convince people to attend his parish. He was trying to save them. He was not afraid to place before them a clear choice. Two thousand years after St. Paul preached, another saintly apostle arrived on the scene. Pope John Paul II preached all over the world and, in a remarkable way, he powerfully touched the hearts of young people. John Paul's preaching moved the hearts of young people because he trusted Christ and he trusted the desire of young people to be challenged to greatness. He knew that some would reject the Gospel, for thus has it ever been so. He also knew, however, that some would hear this Word and leave everything to follow Christ. John Paul was not afraid to tell the world that there was a choice to be made. There was a choice between life and death. There was a choice between selfishness and true love. There was a choice between light and darkness. There was a choice between Christ and the world. He held out this choice to all. He made it clear that the choice for Christ and His way of life was the most important decision a human being could make. John Paul II was unafraid to announce that this choice had consequences. To choose Christ--to take up the Cross and follow Him--means that your life will never be the same. It means laying down your life. It means saying no to many things. It means dying to self. Some, like the Rich Young Man in the Gospel, will walk away from this call. And this is truly a source of sadness. For those, however, who accept this call, they become new creations. No matter how many times they may fall along the way, those who follow discover that only in Christ is the true way to happiness. He makes all things new and leads man to the Father. It is difficult to put my finger on it, but it feels as though so many current "evangelization" efforts are falling flat because they do not make any definite proposal. They do not offer a clear choice. Instead, it sounds like, "We are trying to keep our parish open and need you to come. Keep doing whatever it is you happen to be doing, but do it here at our parish." This is a long way from "Take up your Cross and follow me." Our efforts often sound more like membership drives than they do the proclamation of the Gospel. 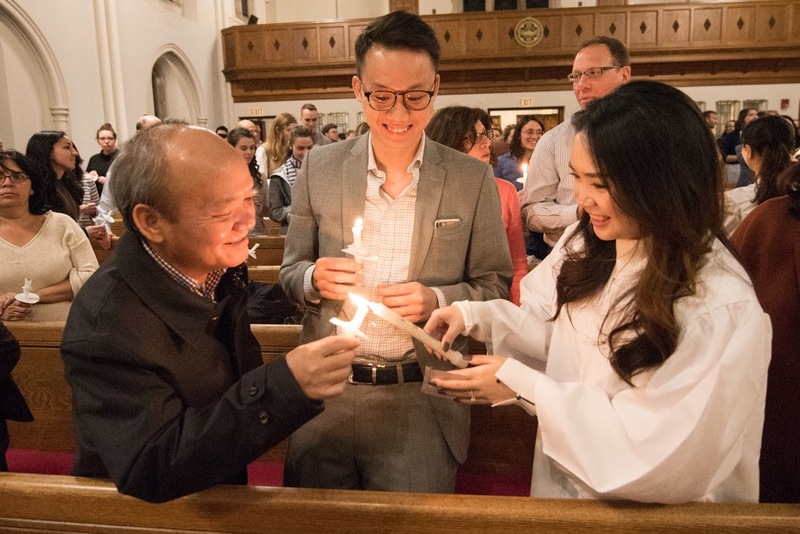 Yes, parishes need to be places where people feel welcomed, but they also need to be places where the clear and unambiguous proposal of the Gospel is proclaimed. Evangelization has to be about Jesus Christ more than it is about our parish. 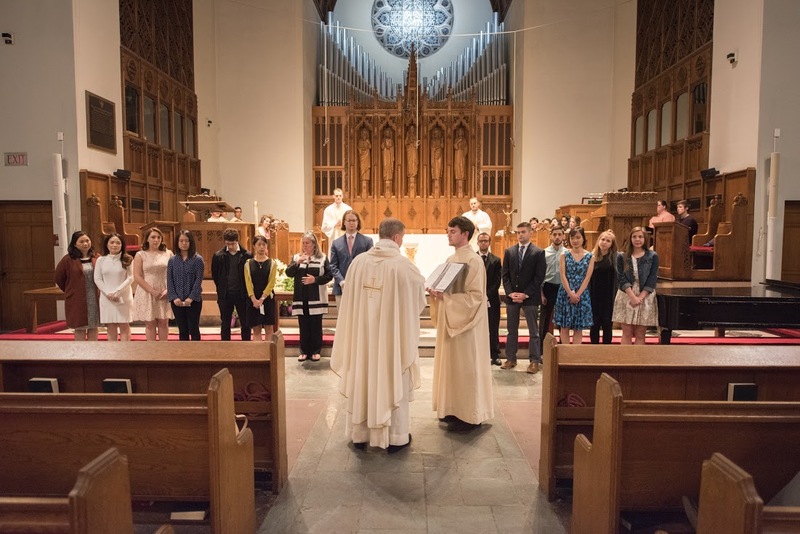 Of course parishes and Church institutions should be welcoming, engaging, and friendly. And, of course, we should always be working on those things. But, parishes and other Church communities have to be more than just social clubs. They have to stand as a constant proposal and invitation to people to follow Christ. The same is true about priestly vocations. "Do you like to work with people and have a sense of adventure?" is not a helpful vocations promotion. The way to promote healthy vocations is to say, "Jesus Christ is the Way, the Truth, and the Life. Are you willing to lay down your future and your life in order to be his priest?" Some will say no. Others will say yes. The choice, however, is clear. When it comes to the moral life, ambiguity does not make the Catholic Church more attractive. In fact, it makes it far less attractive. It is far better to be a Church that proclaims the full truth of the Gospel, than to be a church that appears to hide its moral teachings in the hopes of attracting more members. The Catholic Church is at its best when it clearly teaches the Truth. Part of that truth is that we all are weak and we all stumble and fall. We all struggle. Part of that truth is that when we fall, the Lord is ready to pick us up and put us back on the right path. But, part of that truth is that there is, in fact, a right path. There are many wrong paths. There is only one right path. That path is Christ and Him crucified. In the Garden of Eden, the serpent attempted to sow ambiguity in the relationship between God and man. "Did God really say this?" Where before there was utter clarity, "You shall not eat of that tree or you will surely die," now there is ambiguity. "Did he really say . . . ?" The serpent attempts to convince man that God's clarity is somehow unloving and untrustworthy. God placed before man a clear command. The serpent introduced ambiguity. What made John Paul II such a great evangelist is that he trusted Christ and he trusted the human heart. Proposing to others the Truth of the Gospel in a clear and unambiguous way is an act of love. And people--especially young people--respond to this clarity. We can know the Truth because the Truth has revealed Himself. The Truth calls us to greatness. The Truth is the person of Jesus Christ. Jesus Christ loves each human person and calls each person to eternal happiness. The path to happiness, however, demands a response. It requires a clear "yes," or "no." It requires the Cross. Whenever I heard John Paul II preach, I knew two things. Firstly, I knew that Jesus Christ loved me and secondly, I knew that Jesus Christ--and Him crucified--was the path to eternal life. Both things were crystal clear. Ambiguity is a fog that leads people astray. What we need in our evangelization efforts is to announce Jesus Christ, and Him crucified. 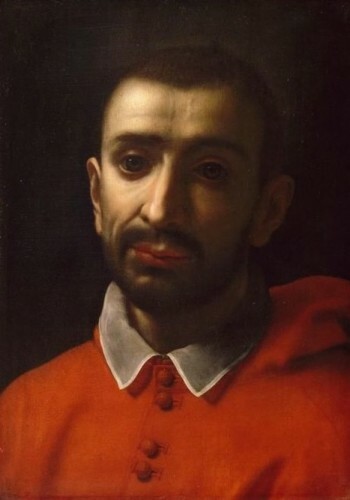 One of the saints of the Church for whom I have devotion is St. Charles Borromeo (1538-84). Recently for my meditation time, I've been reading a newly published collection of his orations, homilies, and writings. St. Charles lived during turbulent times in the life of the Church, and he met those times with pastoral brilliance. He was a true shepherd after the Heart of Christ. He loved his people, was close to them, and was an exemplary pastor. St. Charles was serious about renewal in the Church, and he saw that renewal in the Church had to begin with the interior renewal of individual Catholics, most especially bishops and priests. In his pastoral advice, St. Charles implores the shepherds of the Church not to become mere observers of their flocks. The shepherds of the Church are men on the watchtower whose duty it is to warn the flock of dangers. Like a true pastor, Charles mentions a common fear that can be present in the shepherds of the Church. He says that we can become hesitant to fulfill our pastoral duty of warning of dangers when, "we see the aroused irritation of mind" of those to whom we are preaching. He says that we can cower from warning them, lest we be rejected and hear them say, "This is how we have been living for a long time, thus did the previous generation live and behave. There is no need to change anything in our way of life." St. Charles warns that pastors who fail to warn their flocks of such dangers will eventually stand before the "irate judge" who will reproach them and ask, "If you were the watchmen, why were you blind?" "If you were the apostles, why did you forgo apostolic strength and instead do everything for the eyes of men? "As I prayed over these words today, the faces of people whom I love came to mind. Some of them, I know have stopped going to Mass on Sundays. Some of them, I suspect no longer attend or do so only on occasion. Their faces brought two sentiments to my heart. The first was a great affection. In His goodness, the Lord entrusted these people, at one time or another--now or in the past--to my pastoral care. He appointed me as a watchman to serve them and to warn them of danger. Priests are not like hired hands who have no regard for the sheep. 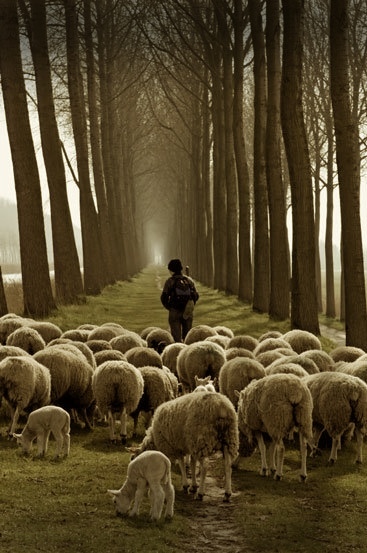 Priests are conformed to the Good Shepherd, and so they love the flock. The flock is not just a job to the shepherd. The shepherd knows his sheep and they know him. There is a beautiful and indescribable affection that the priest has for those whom he is called to shepherd. The second sentiment that came to my heart when these people came to mind was guilt. I realized that some of them I've just allowed to wander away. I stopped seeing them at Mass (or suspected that they were no longer attending Mass ) and I didn't call out. I may have hinted. I may have opened the door to a conversation, but I didn't say to them, "I'm worried about you. I'm afraid that you are in danger." Such a dramatic remark risks irritating someone whom I love. Such a remark could spoil the friendly pleasantries that we exchange when we run into one another in person or on social media. But, God wants more for me than to have pleasant acquaintances. He didn't call me to be a barber or a bartender. He called me to be a shepherd, a watchman. The friendly pleasantries that I share with them are only good if they are instrumental in me being a better shepherd to them. The friendly pleasantries are not an end in themselves. Sometimes, in order to save the friendly pleasantries (which I enjoy), I hesitate to warn the wandering sheep. And not warning the sheep when they are in danger makes one a bad shepherd. 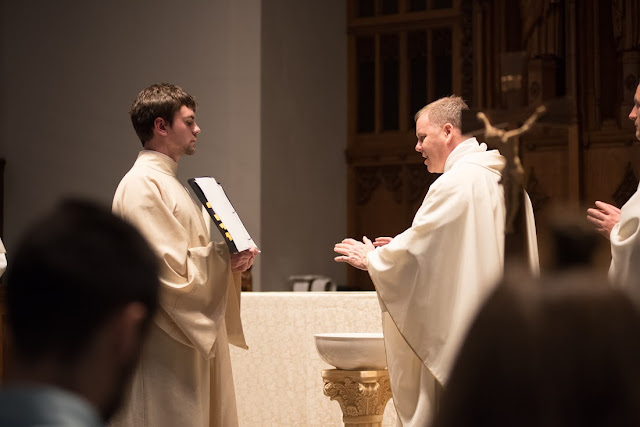 So, as a first step in better fulfilling my priestly obligations, I am writing this post. If you've wandered from the Sunday Mass, you're in serious danger. I tell you that not to burden you, but because I love you. I am offering a warning. (I hope I'm not coming across as a person who harangues or yells at someone for "being a bad Catholic"). In fact, the very first sentiment that my heart feels when I think of you is pastoral love. I'm not judging you or condemning you. I'm just concerned for you. Not worshipping God is serious. Being deprived of the Eucharist is serious. Wandering away from Christ's Church is dangerous. 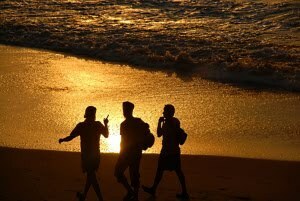 The longer you are away, the more difficult it is to return. The farther away you wander the more precarious is your situation. Perhaps at first you felt some guilt or some trepidation? But now, the longer you've been away you think, "Well nothing terrible has happened. I sometimes feel regret, but no lightning bolt has struck me." What the person in this situation doesn't understand is that the catastrophe has already occurred. The wolf has already attacked. The catastrophe is to be away from the Lord. Gradually, little by little, the sheep is led away. 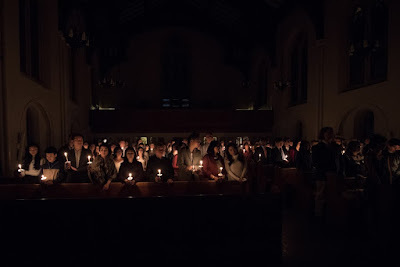 Away from the Lord--away from the Mass--they forget the sound of the shepherd's voice. Soon, they listen to the voice of strangers who only seek to destroy. They listen to the voice of wolves dressed in sheep's clothing. They are seduced by lies....lies which eerily sound like the ambiguous serpent in the garden, "Did God really say . . . ?" I am certain about two things. Firstly, if you've been away from the Sunday Mass, you are in serious danger. Secondly, the Good Shepherd loves you and is asking you to return. Oh, one more thing I know: I love you too and if I can help, let me know. In fact, I love you so much, if I don't see you, I'm going to give you a call. "First Week." That's what everyone at the BU Catholic Center calls the first week of school. It means much more than just "the first week of school." It means an all-out offensive to reach out, meet, and welcome new students. Every day is filled with events designed to allow new students ("new" meaning first time students and also students who have never been part of the community) to discover the beautiful friendship that exists among the Catholic community at Boston University. It is amazing how much work the Catholic Center students put into "First Week." This year, we had a particularly great First Week. It's completely exhausting (and the next few weeks will be more of the same), but it is that good kind of tired. It's the kind of tired that comes from knowing that the Holy Spirit is at work in our community. Today (Sunday) kind of marked the end of First Week--even though it really is the beginning of a new week. Our Masses had that "something great is happening" feel. I want to share just one thing that transpired this week. It was basically the very last thing that happened during First Week. I don't have experiences like this very often, but it really stopped me in my tracks. And, I know that when I try to write about it, it will fall short and not sound all that impressive! 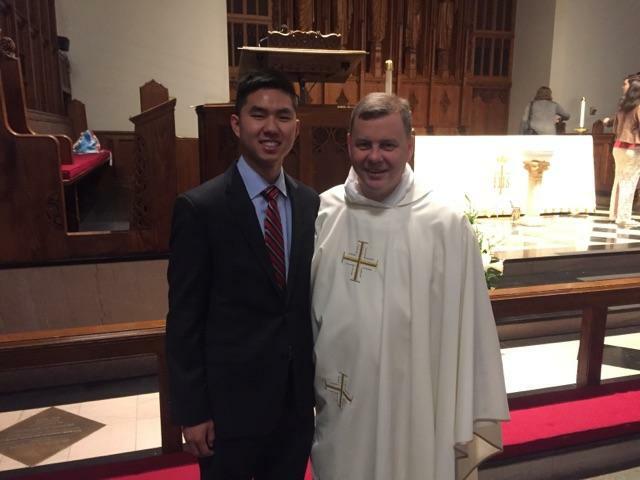 Tonight after our last Mass of the day, I was leaving the church and noticed a young man (a graduate student) whom I had met last Sunday. He was kneeling in prayer. As I passed by, he came over to say hello. We chatted for a few moments about how his first week at BU was going, and then I said, "You always looks so happy." (He was smiling and just had a very joyful expression on his face.) He said, "Really?" I said, "Yeah, you're always smiling." What he said in reply was spoken with such purity that it actually made my eyes fill up. 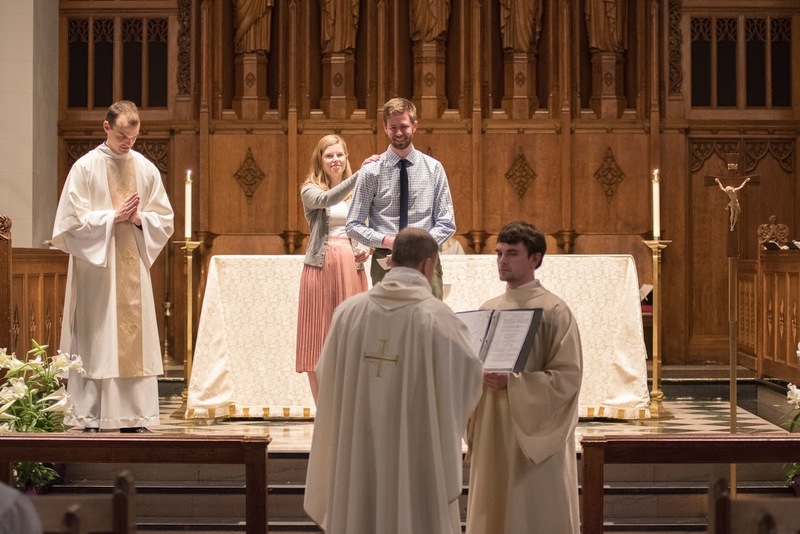 Smiling away, he said, "Oh, well I just received Holy Communion." He didn't say it in a way that sounded "Holy Roller." There was a beautiful purity and sincerity to it. In that moment, I knew that I had just heard the Gospel proclaimed to me. It was like a homily, a retreat, a theological course on the Eucharist all in one brief sentence and in one smile. "Oh, well I just received Holy Communion." These simple words spoken with such joy and purity were a total surprise to me. In that brief moment, I realized that God was speaking to me. God wanted me to love the Eucharist more. God wanted me to believe in the Eucharist more. God wanted me to be filled with greater gratitude and joy for the gift of the Eucharist. That brief encounter was filled with the joy, freshness, and newness that are hallmarks of the Gospel. The Gospel never is old, and its newness and power are never exhausted. Although we went on to speak about a few more things, my mind and my heart were still in that moment when he testified to the Eucharist. Even now, a few hours later, I am still struck by that beautiful encounter. The purpose of First Week is to reach out to new students and to evangelize them. This year's First Week culminated in a new student evangelizing me. 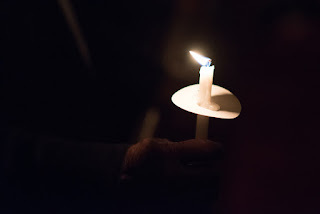 When we gather--two or three in the Name of Jesus--He is in our midst. He speaks to us and teaches us. We encounter the beauty of truth. All true Catholic Evangelization begins from and leads to the Eucharist. 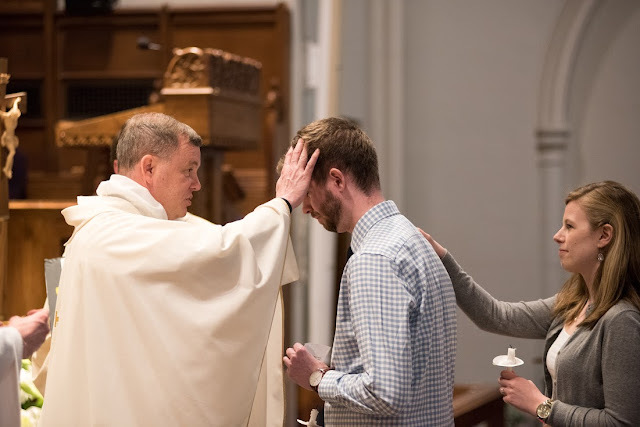 I bet our churches would be filled if all of the Catholics who received the Eucharist on Sunday had joy and happiness written all over their faces on Monday. People might ask us, "Why are you so happy?" 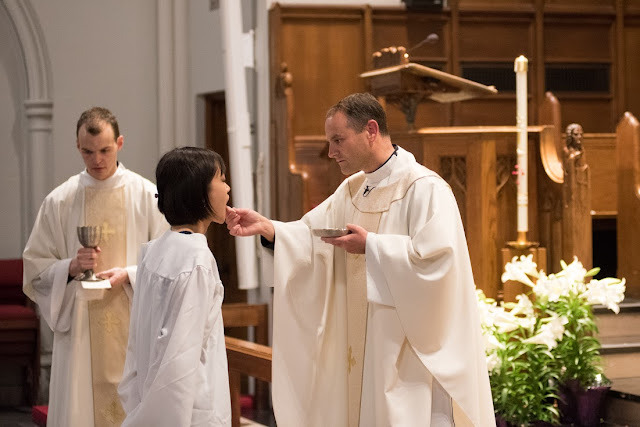 All we would have to say--with simplicity and purity--is, "Oh I just received Holy Communion yesterday." The passing of time intensifies within us the tendency to romanticize the past and to become nostalgic for a time that never really was. Today, however, I had the opportunity, in a sense, to travel back in time and to discover that the "good o'l days" were, in fact, just as good as I recall. This morning, I attended the funeral for a wonderful woman who lived across the street from the house where I grew up. Despite the fact that every time I saw her over the years she would say, "Call me Simmy," she was always, "Mrs. Koch" to me. During summer evenings the adults would sit out on their porches and yell across the city streets to one another as dozens of neighborhood kids would play games until the street lights came on. Mr. and Mrs. Koch were kind of the patriarch and matriarch of the street, overseeing things from their second floor porch. They were a couple who raised their large family to become men and women who were dedicated to helping others. One of their sons is the mayor of our city now. He still finds time to shovel my parents walkway when a winter storm comes. Today at the funeral, Mrs. Koch had maybe a dozen concelebrating priests in the sanctuary and the pews of Sacred Heart Church in North Quincy (pronounced "Quinzee!) were packed. 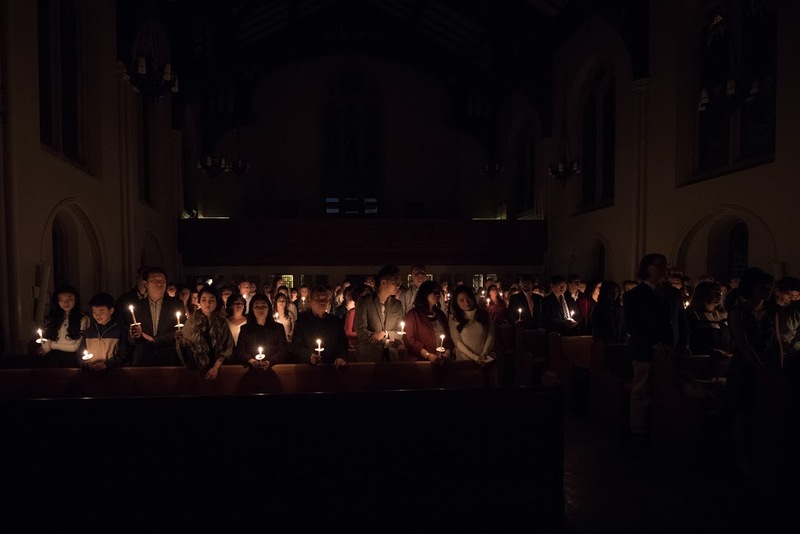 But what most struck me was not the numbers of people in the pews, but the faith that filled that church. Mrs. Koch had the funeral of a believer. The priest who preached at her Funeral Mass was one of the priests who lived at that parish for decades. Nearing eighty, he climbed the pulpit steps a bit more slowly than in the days when I was his altar boy. 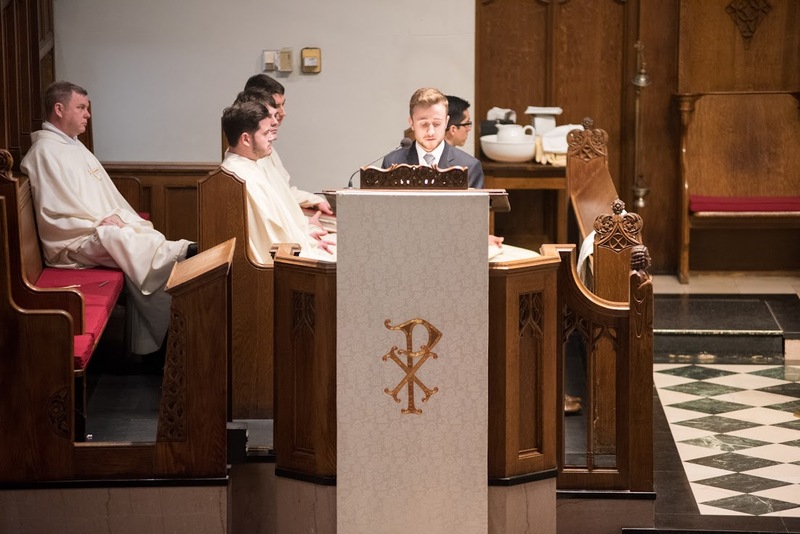 Once he settled into that pulpit, however, out came the lion of yesteryear, his voice rising and lowering in a style of preaching quickly disappearing from the Catholic landscape. He was masterful in the pulpit . . . just as I recall him being decades ago. 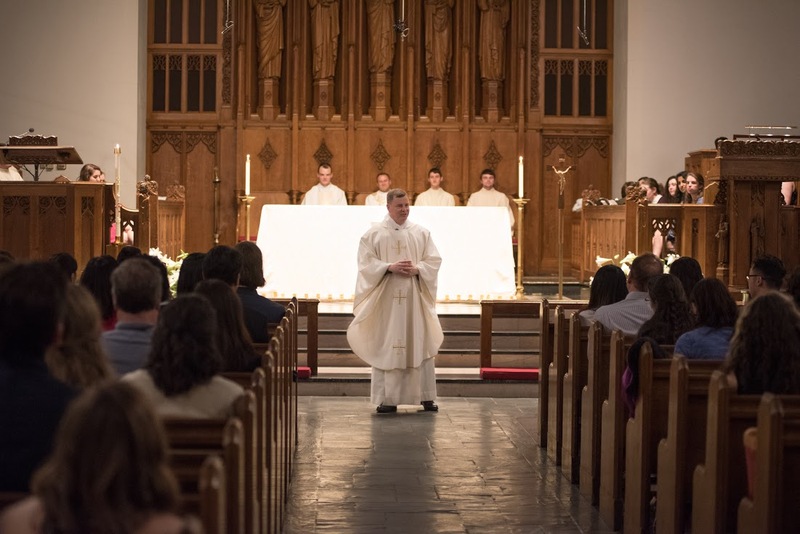 As he preached, I recalled the many other priests--some present at the Mass and others gone home to God--for whom I served as an altar boy. Before the Mass, one such priest reminded me of the different jobs that I worked in middle school and high school. He's been gone from that parish for well over 25 years, but he remembered those things. It reminded me that I grew up in a parish where the priests were close to the people. They knew one another. There was a friendship among the people there. I ran into many people from my youth there. Many of them didn't recognize me. (I chalk that up to a decline in their eyesight rather than to my aging.) But there they all were, people who have spent their lives together in that parish. Some have moved elsewhere, but for a moment, it was the old Sacred Heart again. These were the people who sang and danced in parish shows, the kids whom I'd spent weeks with hanging Christmas lights on all the exterior trees around the church when we were in high school. There was the charismatic prayer group of which Mrs. Koch was a leader. There were the people who reminded me that I was a brat as a kid and how I would torment the nuns in the school. At the end of the Mass, Mrs. Koch's son, Tommy (the mayor) spoke some words. He began by saying that when his mother was dying, she told him that he better not use her eulogy to say, "She made great cookies." He said, "I told her, don't worry, I won't. To be honest, your cookies weren't all that great." He said that his mother would want him to talk about Jesus. And that's the truth. If all anyone had said about Mrs. Koch was that she was a believer, that would have been enough. In the end, Mrs. Koch was a believer. She loved the Lord. She loved the Eucharist. I always say that there can be no greater consolation to a family when a loved one dies than to know that the person for whom they mourn loved the Eucharist. Jesus himself says that whoever eats his flesh and drinks his blood has eternal life. Everyone in that church today was consoled because none of us can give himself eternal life. But, for the one who believes and loves the Lord, for the one who loves his Body and His Blood, we have the consolation of His promise. After Communion, some of the singers sang a song that I imagine was dear to Mrs. Koch. It simply repeated, "Give Me Jesus." "In the morning when I rise, give me Jesus." "When I am alone, give me Jesus." "When I come to die, give me Jesus." "Give me Jesus. Give me Jesus. You can have all this world. Just give me Jesus." Mrs. Koch loved Jesus. There can be no greater consolation to her family than that. She wanted Jesus. 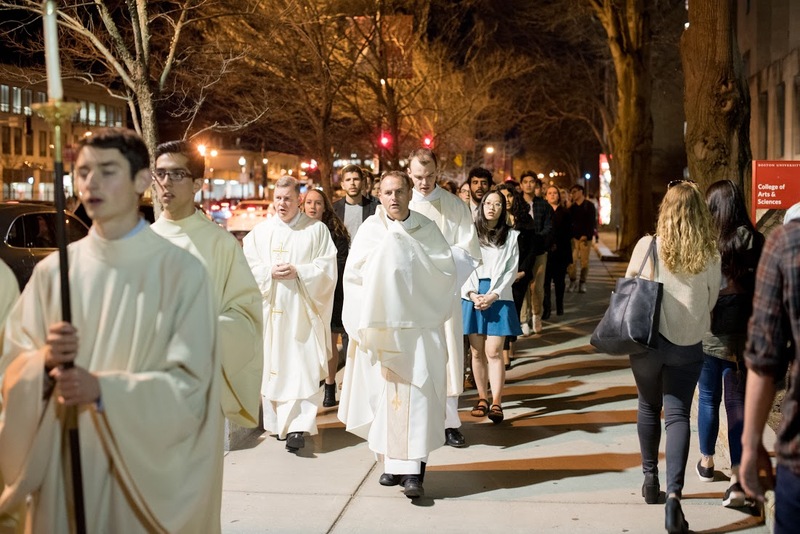 I often tell the students who attend Mass at Boston University that their presence at Mass serves as a great witness to me. You can have a big funeral, but if it isn't about Jesus, it doesn't much matter. What matters is Jesus. Only He is the Resurrection and the Life. Today, as I returned to my home parish and prayed for Mrs. Koch, I saw what happens when people live the Faith together down through the years. Faith means walking when it doesn't always seem so clear. The church today was filled with people who did just that. They remained faithful over the decades, even when they didn't feel like being faithful. They remained faithful to their vows. They remained faithful to the Lord. They remained faithful to the Church. In the end, fidelity pays off. 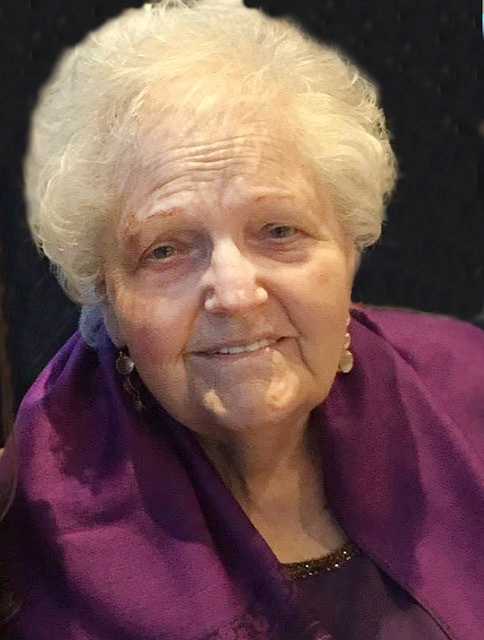 Mrs. Koch had many accomplishments in her life, but her greatest accomplishment was living her life as a faithful disciple of the Lord. If you want to live life well and if you want to end life well, then let your prayer be that of Mrs. Koch's, "Give Me Jesus." I had an amazingly fantastic day today. I don't even know how any of it happened, but it was a great day. 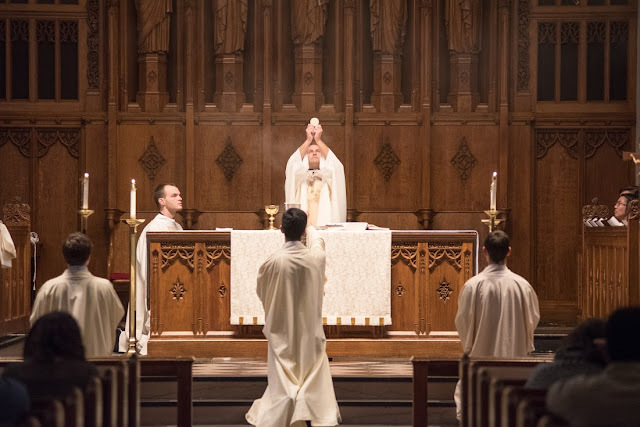 In a few weeks, I will celebrate the twentieth anniversary of my priestly ordination. When I arrived at work this morning, the BU Catholic Center was in a flurry of activity. The place was decorated, food was cooking, students and staff were busily setting up chairs, and parishioners from my thirteen years in Beverly were among the workers. 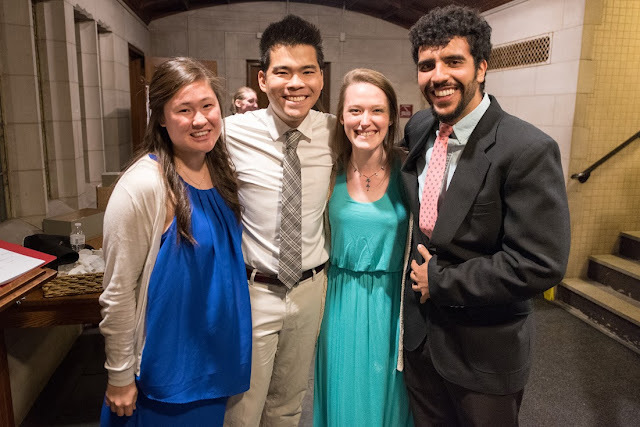 Two BU alumni who are now seminarians were also there with big grins on their faces. 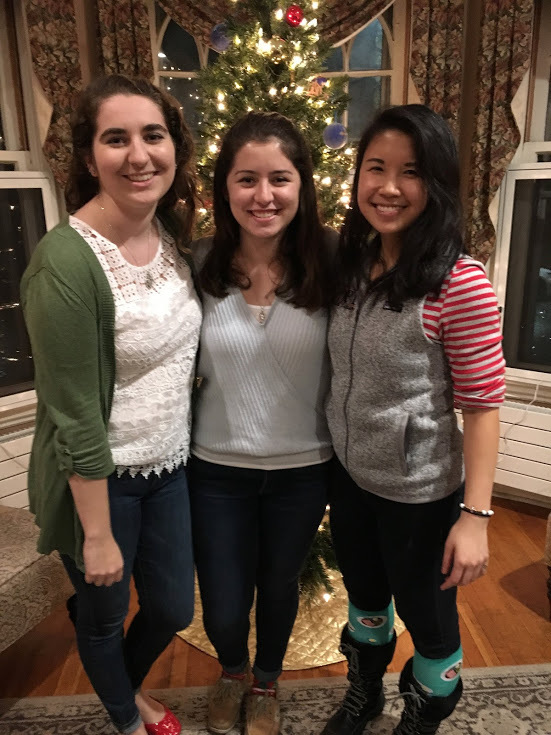 Both of them served as interns at the BU Catholic Center after their graduation and before entering the seminary. They looked eminently pleased with themselves. As usual, Fran, our Office Manager, was running around doing everything and, in charge. 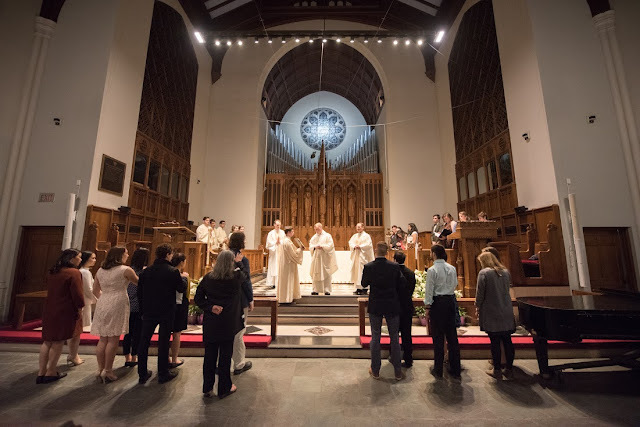 Turns out, about 200 or so friends (and family) from BU, the Seminary, St. Mary Star of the Sea in Beverly, and some priest friends managed to surprise me by coming to Mass and then having a reception at our Catholic Center. It's been a whirlwind of a day, and I don't even understand what exactly happened or how it happened. I've heard that it was just word of mouth. It was great to all be together for Mass, and I couldn't have asked for a better Gospel! Today, the Liturgy proposed for our consideration, the Gospel of the Road to Emmaus. Several years ago, Pope Benedict XVI preached at the Cathedral of St. Patrick in New York. He said that the Church is a lot like a cathedral. From the outside, the windows look dark and foreboding. But, when we step inside, we experience their radiance, their warmth, and their transcendent beauty. Similarly, if we only look at the Church from the outside--as objective observers--we can be left feeling cold and unmoved. But, if we step into the life of the Church, then we encounter the Risen Christ and are warmed by his joy and love. 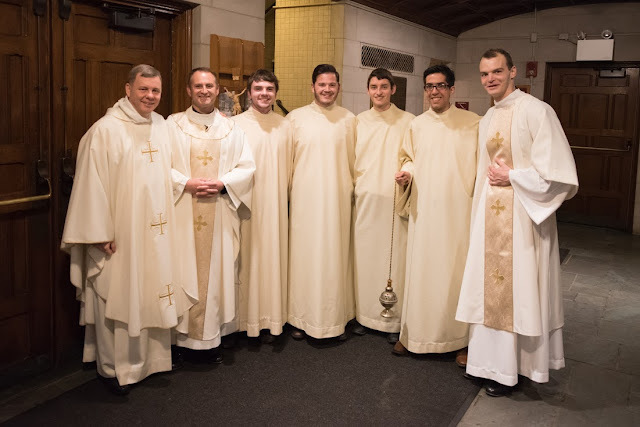 So much of priesthood for me has been the experience of walking together with others and encountering Christ together in his Word and in the Breaking of the Bread. When I read the Gospel of the Road to Emmaus, I do not feel like an observer. I feel like a participant. Their experience on that road is my experience. As I've walked along, Christ has come to my side and spoken to me and fed me. 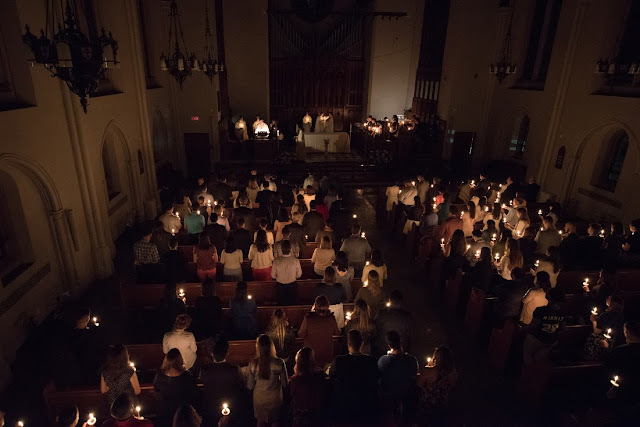 The Easter readings are filled with joyful surprise. "He is not here. He is risen!" "Although the door was locked, he came and stood in their midst." And today, he breaks the bread and vanishes from sight. Earlier in the Gospel, the disciples begged Jesus "Remain with us!" When Jesus vanishes, he is not abandoning them. He vanishes after the Breaking of the Bread because in the Eucharist, he responds to our earnest desire for his presence to remain with us. As a priest, it is a joyful privilege to be at the continual service of the ways in which Jesus remains with us. He remains with us in His Word....as he speaks to us along the way. It is a privilege to be a preacher of the Word. He remains with us in our companionship. One of my favorite parts of being a priest and one of my favorite parts of this day, was that people were brought together. People from the seminary, people from my old parish, people from BU, and brother priests. They were all together and experiencing the communion of the Church. The communion that only Christ can establish. And lastly, and most importantly, as a priest I have the privilege of being the minister of the Eucharist. I have the privilege of feeding Christ's sheep with his Body and Blood. I'm wiped out after an exhausting day of rejoicing with some amazing people. I often say that one of my favorite lines from the Psalms is, "He has put into my heart a marvelous love for his people." Tonight, my heart is filled with a marvelous love for his people; people whom I have met along the journey for the past twenty years. People who have worked with me, people who have studied with me, people who have been my parishioners, and people who have been part of the BU Catholic Community; people who have shared in priestly ordination with me. People who have invited me into their homes, into their confidence, on their vacations, into their vocational discernment, into their suffering and joys. People have prayed for me and with me. I absolutely loved watching people from different parts of the Church meeting one another and growing in friendship together. 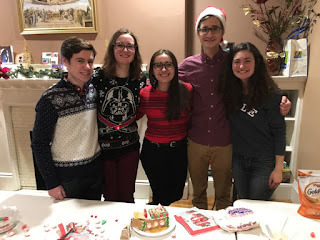 I think another favorite part of today was that not only were there friends present, but there were people who became friends through other friends. In other words, I could see how the circle continues to grow. There was a lot of goodness present today. There was a lot of surprise. The room today was a reminder that the surprise of the Resurrection is not something relegated to the past. It is still happening. As I looked around at Mass and at the reception, I knew that I am living Christianity from the inside. In the extraordinary friendships that Christ has blessed me with during these past twenty years--friendships with people of all ages and all vocations--I can join my voice to those of the two disciples in today's Gospel: "For the past twenty years, my heart has burned within me as we've walked upon the road together." Thank you to all of those who had a hand in putting today together and to all of those who came. 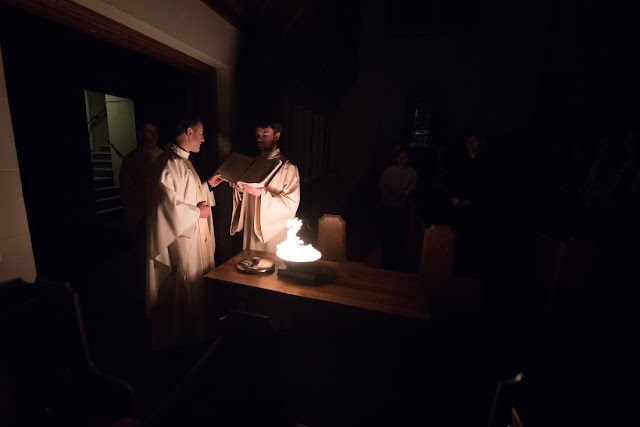 Your friendship and communion restore the joy of my youth, make my heart really burn within me; burn with the surprising and loving presence of Christ, and you make me want to live the joy of priesthood with greater holiness and zeal. You make me love the priesthood. I gave up social media for Lent and that kind of turned into a fasting from blogging as well, for the most part. It came as a great shock to me that the world could go on without my opinions. At the end of Lent, just as I was ready to start posting again, I wound up with a problem with my neck that really knocked me through a loop. It's been a tedious (and, thus far, incomplete) process getting back to normal. It meant that for Holy Week, I mostly had to take a back seat. Thankfully, friends of mine came to my rescue. Even though I haven't posted much, I thought I'd share with you some great photos from our Holy Week and from a Confirmation Mass that Cardinal Sean did for us today. Unfortunately, I don't have any photos from our Good Friday Service or from our Live Stations of the Cross that takes place in the middle of campus. Because I was out of commission, two friends of mine who work in the Vocations Office covered much of the Triduum for me. Fr. 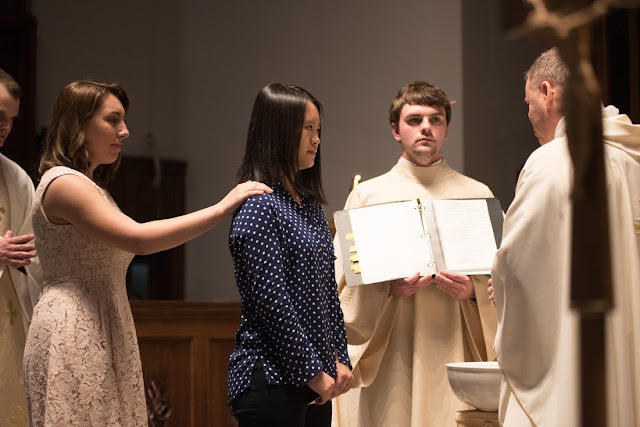 Hennessey did Holy Thursday and the Easter Vigil, and Fr. Eric Caden did the Good Friday Service. Additionally, Fr. Hennessey helped me out hearing confessions on Good Friday. We both heard confessions for 90 minutes non-stop. Additionally, five other priests helped me on Tuesday hearing confessions for two hours. One of my great joys as a priest is introducing great Catholics to one another. So, although I was not able to lead most of the Holy Week events, it gave me a lot of joy to facilitate the encounter between our great students and these great priests. I Baptize You . . . I got to Baptize seven new Christians! The Newly Baptized Sharing the Light of Christ! I Received this man into the Church and heard him profess that he holds and believes all that the Catholic Church teaches! Then I got to Confirm Ten Young Men and Women! 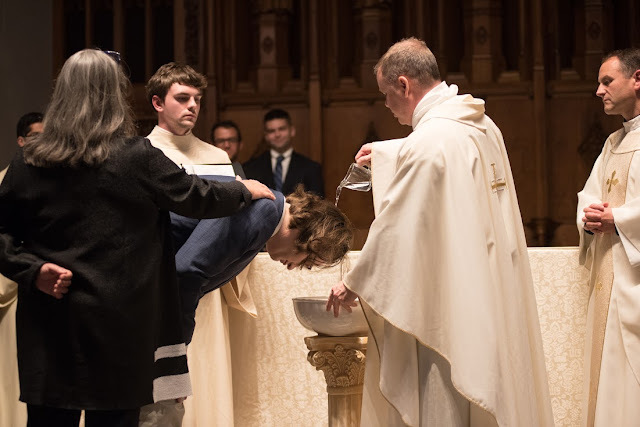 This young man was baptized Catholic but never received any of the other Sacraments. I Confirmed Him. The following Sunday, I saw him in the Communion Line with a huge smile on his face! One of the things that has really amazed me about College Ministry is how organized the students are. 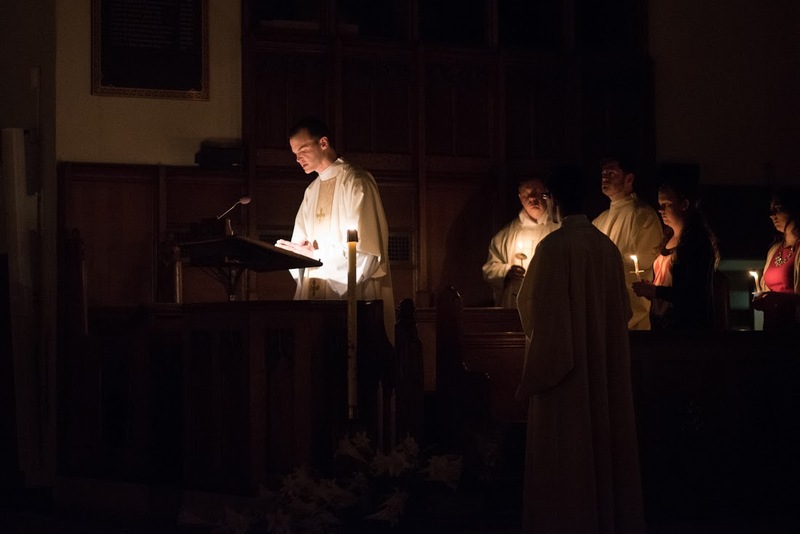 We had a magnificent Triduum and, in large part, that was due to the generosity of our musicians, servers, and Liturgical Committee. They really amaze me. I am also grateful for how our Office Manager, Fran, who does EVERYTHING. 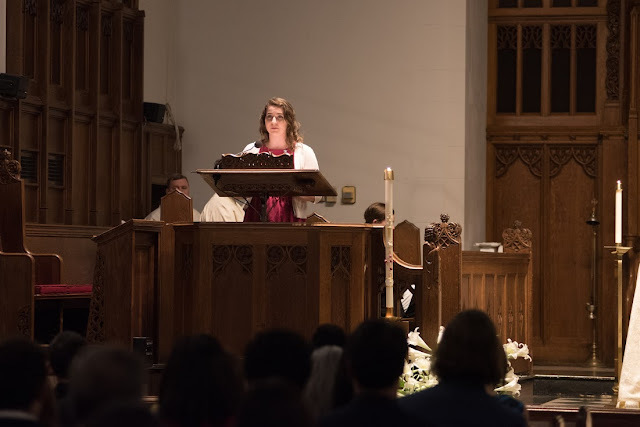 She had a box for each day, filled with whatever I needed for the Liturgy for that particular day. Every priest needs a Fran. And, I am grateful to Evan Kristiansen who took the majority of these photos. There Better Be Some New Vocations From This Crew.....that's all I'm saying. 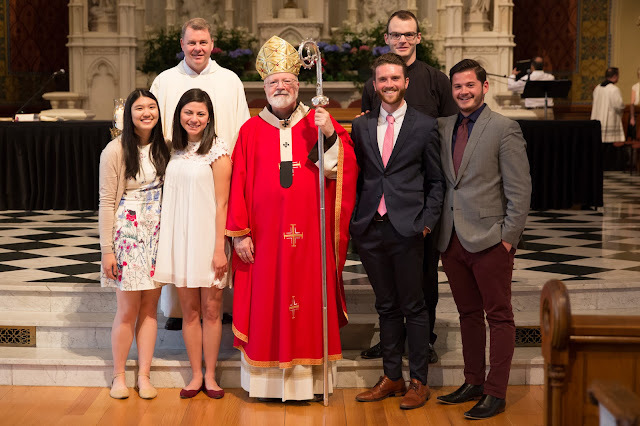 Lastly, a couple of weeks after Easter Sunday, Cardinal Sean has a Confirmation for colleges in the Boston area. Two of our students were confirmed and a group of their friends showed up to support them. 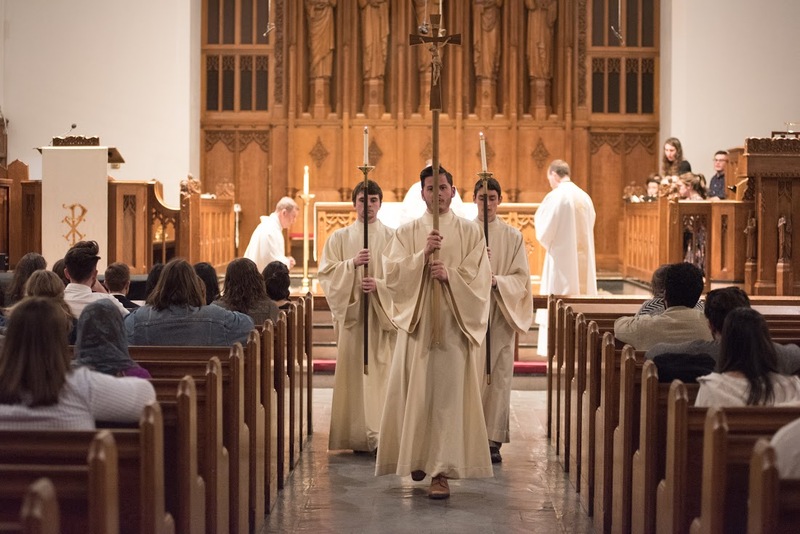 I am grateful this Easter that I am blessed with good priest friends who helped me out. 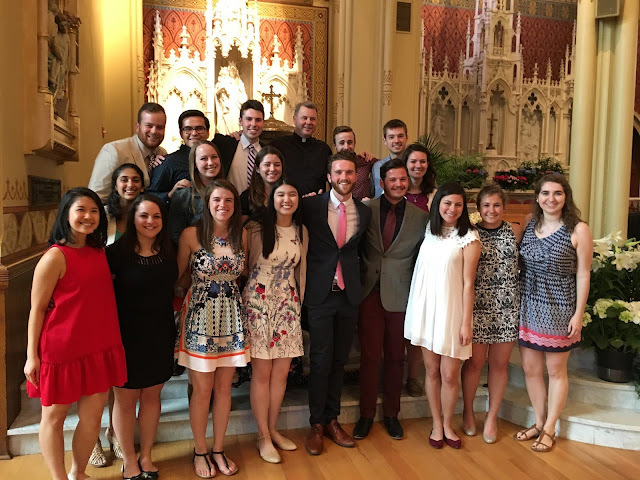 I am also grateful for the students and staff at the BU Catholic Center who really are beautiful examples of Christian discipleship. 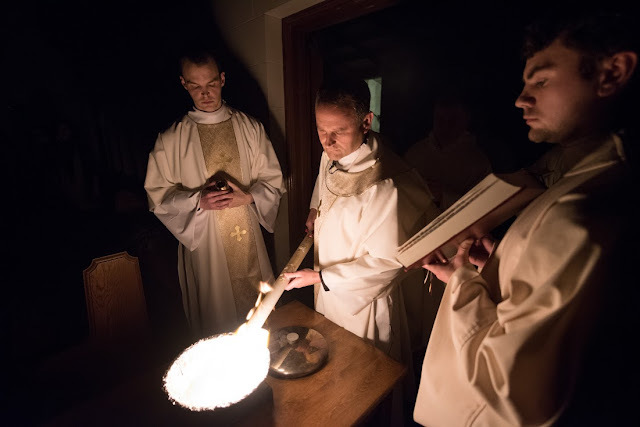 I hope that you all enjoy these photos and can sense from them that something beautiful is happening in the Church.